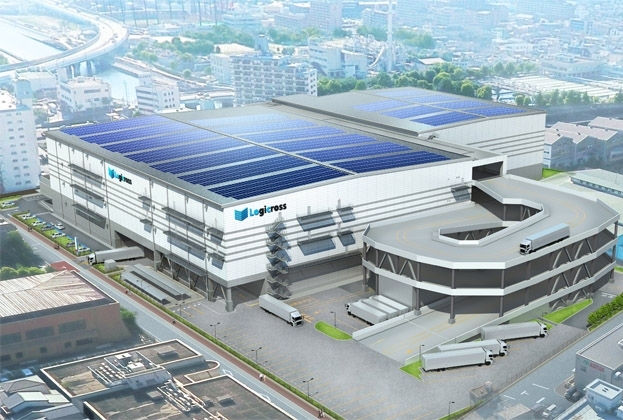 Greater Tokyo is in the midst of a wave of new supply lasting until 2019, and vacancy has ticked up slightly. Encouragingly, Greater Osaka is showing steady absorption of last year’s supply and vacancy is coming down. Equity capital markets are showing signs of caution, but sentiment for hard assets is positive and the outlook has improved somewhat. The Tokyo and Osaka markets have clearly diverged. 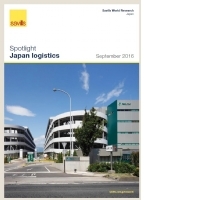 Rents are slowly growing near Tokyo, while rapid supply in the Osaka region has led to temporary softness. 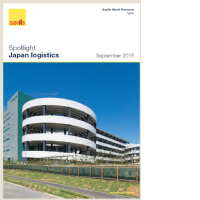 Supply growth continues in Greater Tokyo and Greater Osaka as investment interest remains sound. 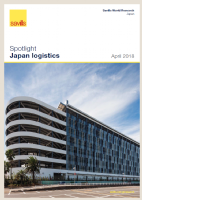 Although there are signs of softening occupancy in Osaka, strong demand from underlying industries should continue to support long-term rental growth in the logistics market. An unprecedented influx of new supply is entering major markets, but take up has been strong and occupancy remains above 95%. Rents will likely stay soft as absorption continues, but yield compression and new developments proceed unabated as more and more players seek to take advantage of high demand from underlying industries. 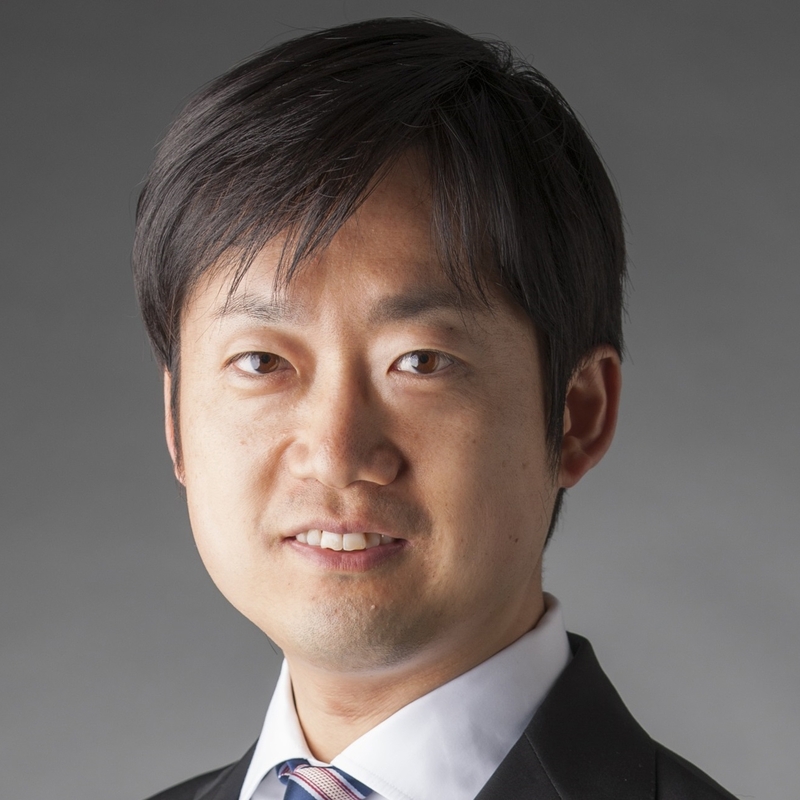 Despite Japan’s macro economy and global economic prospects dimming since mid 2015, investment demand remains strong but investors and tenants have become more cautious. 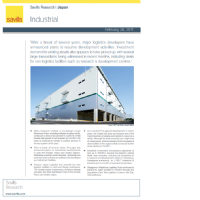 The industrial sector in Japan continues to enjoy robust demand backed by the growth of e-commerce and third party logistics. 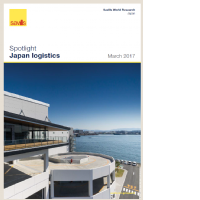 Because of the large number of logistics facilities due to complete over the next few years, we may see supply run ahead of demand. 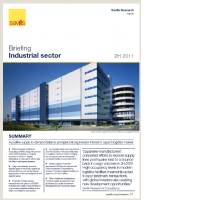 However, the sector should stabilise and grow steadily, thanks to the underlying strength of the logistics sector and positive business sentiment at home. 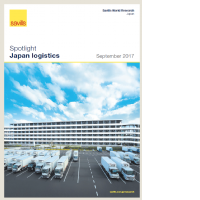 Japanese manufacturers’ concerted efforts to recover supply lines post-quake lead to a bounce back in cargo volumes in 2H/2011. 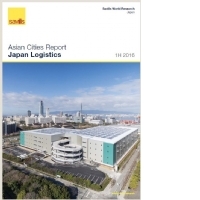 High occupancy levels in modern logistics facilities meanwhile acted to spur landmark transactions, with global investors also seeking new development opportunities. 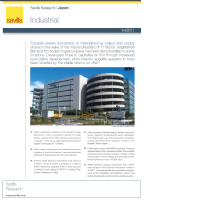 Despite severe disruptions to manufacturing output and supply chains in the wake of the natural disasters of 11 March, heightened demand for modern logistics space has been demonstrated in some locations. Developers hope to capitalise on this through increased speculative development, while investor appetite appears to have been whetted by the stable returns on offer.